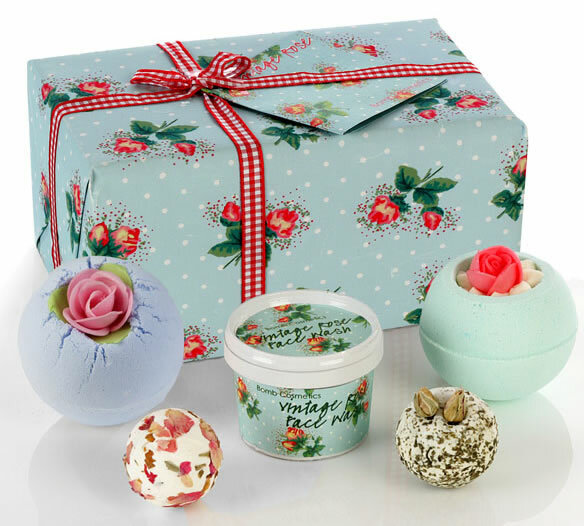 This week, Hampergifts.co.uk are pleased to bring you a selection of Bath and Beauty Gifts. The special range of gifts and hampers contain everything needed to soothe, unwind and rejuvenate. 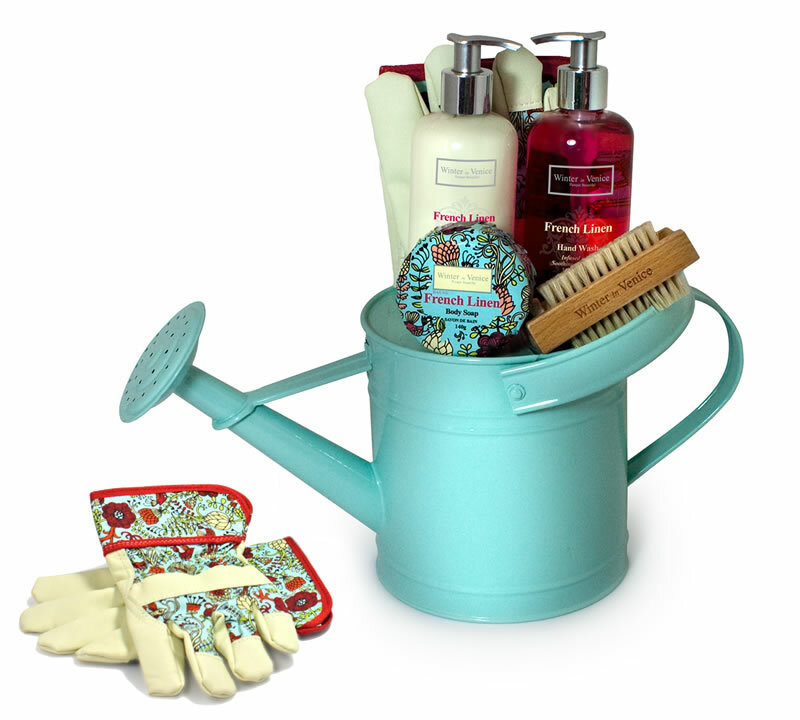 From scented soaps to bathtime hampers, and even gardening themed gifts, these stylish pamper hampers are the ideal treat for someone special. See a selection below or take a look here for the full range. Five quirky & uplifting products to lift your mood and leave you feeling funky. Indulge in the beautifully mild scented soaps, or drop the seductive bath creamer into a warm bath to see it fizz softly, releasing its perfume and essential oils. 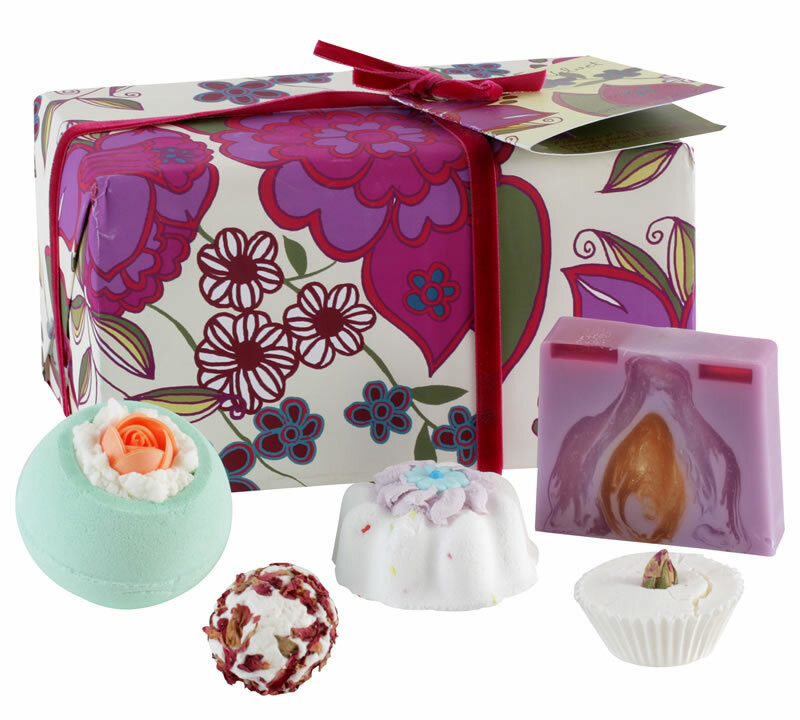 Flower power is back with this collection of wonderfully aromatic bathing treats. The delicate Petal Perfect Face Wash will gently soothe your skin. And the four bath blasters and creamers will keep your bath water gently fizzing for days. This fabulous gift includes everything you need for a winter’s night in, or a lazy Sunday morning pamper session. A beautiful, re-usable bathtub tidy is packed with bathtime products and will sit smartly in any bathroom. This unique gift is a wonderful blend of the traditional and contemporary. The timeless re-usable, metal watering can arrives with some lovely gardening gloves. And after pottering in the garden you can enliven and invigorate the senses with the hand lotion, body soap and hand wash, all featuring milk thistle fragrance. Oozing country charm and rustic French ambiance, this delightful wooden cupboard is one of our favourites. The beautiful fragrance of cedarwood will enliven and invigorate the senses – smother on the thick moisturising body lotion, immerse yourself in a soothing warm bath, or spread on the body butter, letting your mind drift away through a haze of fragrant cedarwood and almond oil. Relax, run a hot bath and let our luxurious Bath themed tower do the rest. This exclusive treat is jam packed with a fantastic selection of scented bath products for the ultimate pampering session. Light the scented candle and let the perfumed soap, massage bar, fragrant bath blaster, bath brulee and aromatic bath buttercup work their magic. A true pamper hamper filled with everything you need to indulge. The rich blend of plum and cream makes this an absolute treat. This generous collection of lotions and potions, accompanied by an array of bathing accessories and a superb wooden bowl puts this gift on the very top of any gift list. Timeless, versatile and smart, this suede hat box comes filled with an array of bath & beauty products infused with a wonderful blend of warm Vanilla and delicious Berries. The set includes bath salts, soft comfy slippers, body brush and gels. Keen gardener in the family? Send this exquisite re-usable metal trug filled with fragrant bath & beauty products and some gardening essentials. Pull on the patterned gardening gloves and step outside to utilise the charming miniature trowel and rake.